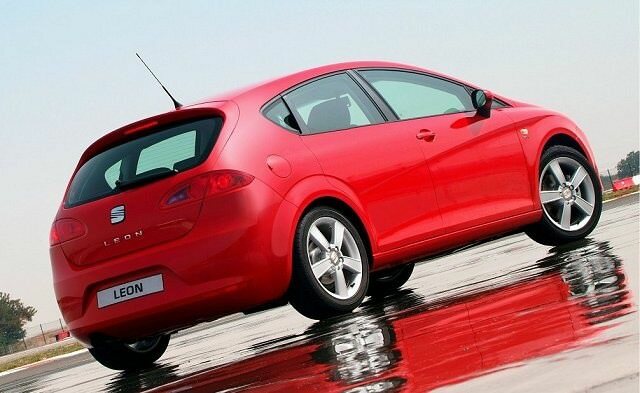 Launched in 2005 and based on the Mk5 Volkswagen Golf platform, the second generation SEAT Leon has gone onto become one of the most popular models in the Spanish maker’s portfolio. Launched in 2005 and based on the Mk5 Volkswagen Golf platform, the second generation SEAT Leon has gone onto become one of the most popular models in the Spanish maker’s portfolio. Not only did it drive as well as its German cousin, but it was cheaper and more stylish as well. It was only available as a five-door hatchback, but there was a wide choice of engine and trim levels - and a more adventurous colour palette than found elsewhere in the VAG range. Despite sharing a chassis with a car that also came as a three-door hatchback and estate model, the Leon came with five doors only. No matter though, as with hidden rear door handles (thanks to ex-Alfa Romeo designer Walter de’Silva) it could often be mistaken for a sportier three-door hatchback. It’s not as well built as the Golf though, the cabin featuring harder plastics - and the shallow windows make it feel more cramped than it is. Still, boot space can be expanded from 341- to 1,166 litres by folding the rear seats and it feels genuinely sporty thanks to the curving dashboard and deep-set instruments. There was a wide choice of engines available, with petrol options ranging from the 1.2 TSI to the 2.0TFSi engine in the hot Cupra R models. As ever it’s the diesels that make the most sense though, with a well-judged balance of performance and efficiency. Either the manual or DSG automatic gearboxes are fine to use, the latter worth trying even if you’re a die-hard manual fan. There was a slightly confusing range of trims to choose from that goes somewhat like this: Reference, Special Edition, Stylance, Style, Sport, Essence, FR and Cupra R. Buyers could also choose a Leon Ecomotive model, similar in concept to Volkswagen’s BlueMotion cars, which have low emissions and great fuel economy. The best compromise is the 140hp 2.0-litre diesel model - preferably a facelifted car, as the common rail engine and improved cabin quality make for a much better experience. Go for the highest specification you can afford. We’d be tempted to find ourselves a Stylance or Sport and choose one in a bright colour - the Leon is one of the few cars in the sector that suits such shades. Either manual or DSG gearboxes are great, so it’s purely down to personal preference which you should have. There’s little doubt that the Volkswagen Golf is a better car, but either new or used it’s also much more expensive. And the SEAT Leon really does have value on its side - it’s also a much more individual choice, especially in the brighter colours offered. The funky styling, high equipment levels and talented chassis only serve to make this an even stronger choice in a hugely competitive sector.